We specialize in custom graphics. If you’ve ever noticed the same logos and icons be used on multiple sites then you realize how important it is to stand out. 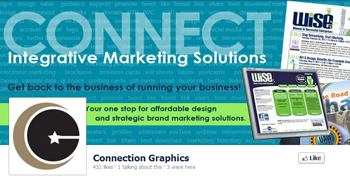 Connection Group can help bring a unified look to your presence on the web and help you stand out amongst the competition. Also check out social media marketing for standard social media image sizes.